From the time it emerged in the 18th century until its collapse in the 20th century, the model of the bourgeois father held a central place in politics and literature. 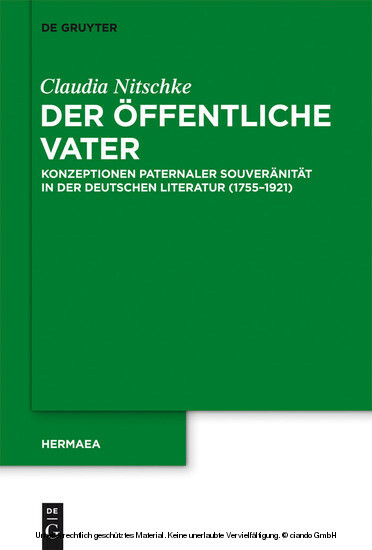 For the first time, the present study systematically examines the history of this construct with a focus on the interplay between the mechanisms of paternal authority and the emotionalization of the family as part of the bourgeois value system. The familial structures portrayed in literature are acknowledged as important blueprints for the representation of sovereignty and for the interplay between government and society.